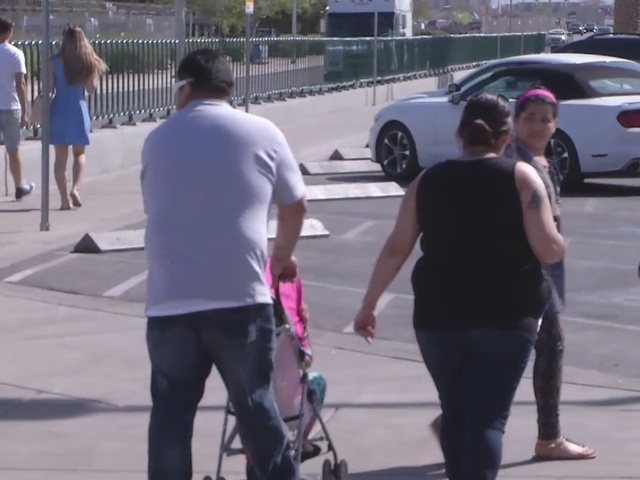 In a move that could have far-reaching implications in tourist attractions across the country, Las Vegas police have proposed a new ordinance to ban bulky bags and strollers at large events on its world-famous Strip. Under the ordinance, bags larger than 8 inches by 6 inches would be banned along with strollers. 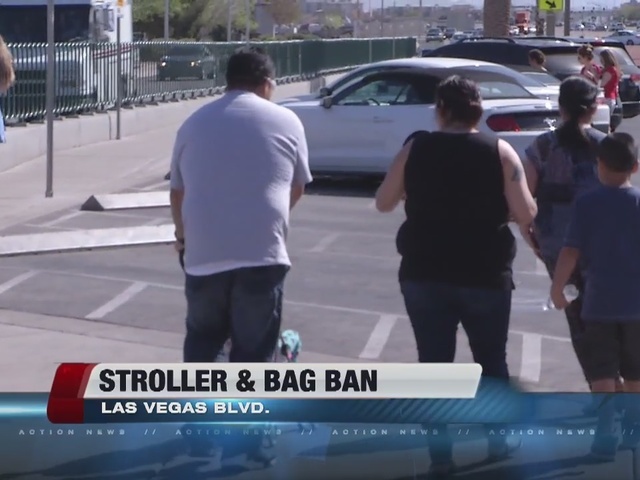 Metro want to pass new ordinance to ban bulky bags and strollers during large events on the strip. What do you think? "As a mom you have your makeup, your cell phone, your wallet and your bottle. And it's not very family friendly if you're banning those items," said Kerry Webster, who was visiting the Strip from out of town. Las Vegas police tested out the regulation at this year's New Year's Eve celebration. "What made it so successful was our messaging. We reached out to the hotels and reached out to the airport and as a result we had very few people with a bag," said Chuck Calloway, LVMPD director of intergovernmental services. But how exactly will they regulate an event that brings in hundreds of thousands of people? Police said their messaging will be the key to making this a successful ordinance. "As with the 'see something say something' campaign, it's easier to spot suspicious activity if you have less to look at, so it helps narrow that focus for our officers," Calloway said. There will also be consequences for people who don't comply. Police said they will warn people to put away their bags and strollers, if they don't comply, it could be a misdemeanor citation. The main goal is to create safety on the Strip. "One incident that sheds negative light to our community could have a negative effect on our economy and the livelihood of the city," Calloway said. But one woman visiting from out of town wonders if a ban could really stop people with bad intentions. "I don't think it would be safer, because if they want to get in and make in attack, they could wear something under the coats," said Natasha Nunes. The ordinance will have to be voted on by the County Commissioners before being implemented.